Durham, N.C. — People marched and rallied here on Oct. 30 to show solidarity with the uprising in Palestine. The demonstration also centrally connected the struggle against racist police terror and the prison-industrial complex, and for Black liberation at home, to the Palestinian struggle against the state of Israel and U.S. imperialism. With chants of “Free, free Palestine!” and “From Durham to Gaza, globalize the Intifada!” the march stepped off and passed by crowded downtown bars and restaurants. 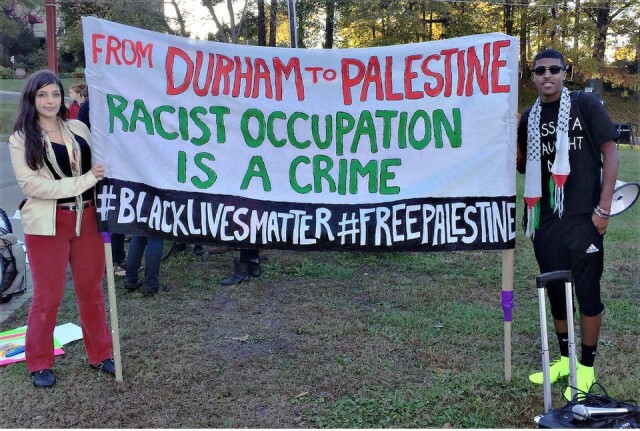 Protest in North Carolina joins anti-racists and those in solidarity with Palestine. As the march passed City Hall, the protesters stopped and heard statements from Muslims for Social Justice and Jewish Voices for Peace. The Durham JVP chapter announced the launch of a new campaign, as part of the Boycott, Divestment and Sanctions movement, to demand that the city of Durham divest completely from Israel. The demonstration continued on to the Durham County Jail to join a protest by the Inside-Outside Alliance. The Alliance has held demonstrations at the jail every Friday for several months now to protest conditions at the jail, and recently won a major victory when a seven-month lockback — a virtual lockdown for all the inmates in the prison — was ended. Passing cars gave honks of support as people chanted and danced to the beat of drums outside the jail, and imprisoned people inside banged on the windows in response to the demonstration below. It was a powerful conclusion to the demonstration that expressed solidarity with the resistance of the Palestinian people while squarely pointing to the role of U.S. imperialism in the Israeli occupation and the occupation of Black and Brown communities here at home. Two days later, the Durham branch of Workers World Party showed “Roadmap to Apartheid” as part of its monthly “Liberation Sunday” film series. 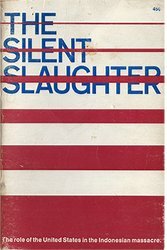 Narrated by Alice Walker, the film outlines how the occupation of Palestine by the state of Israel is, in many ways, identical to the apartheid system in South Africa. Discussion following the film pointed to the need to expose the role of the U.S. in economically, politically and militarily supporting the occupation, to support the self-determination of the Palestinian people to resist the occupation and to connect the Black freedom struggle to the struggle of the Palestinians also fighting for liberation.